Dutch tidal energy developer, Tocardo, is testing a T2 tidal turbine on a temporary foundation platform (TFS) at the European Marine Energy Centre (EMEC). The device was installed at EMEC’s grid-connected tidal test site at the Fall of Warness in March 2017 with support from the Interreg NWE funded FORESEA project and has been in continuous operation ever since. Under the MET-CERTIFIED project EMEC is collecting data to evaluate performance of the T2 tidal turbine against International Electrotechnical Commission (IEC) ‘Technical Specification 62600-200:2013 Electricity Producing Tidal Energy Converters – Power Performance Assessment’. As well as providing independent feedback to Tocardo, the learning from the performance tests will lead to refinement of this and other IEC technical specifications for tidal energy converters. The learning from testing the TFS at EMEC will also feed into the design and development of Tocardo’s bespoke Universal Foundation System (UFS) – the world’s first turn-key floating tidal power plant solution capable of integrating five tidal turbines – being developed under the Horizon 2020 funded InToTidal project. The UFS is a surface-based floating foundation enabling low-cost easy access to the tidal turbines for maintenance purposes, with all installation and service operations undertaken by small readily-available vessels. It will be tested at EMEC following TFS testing. 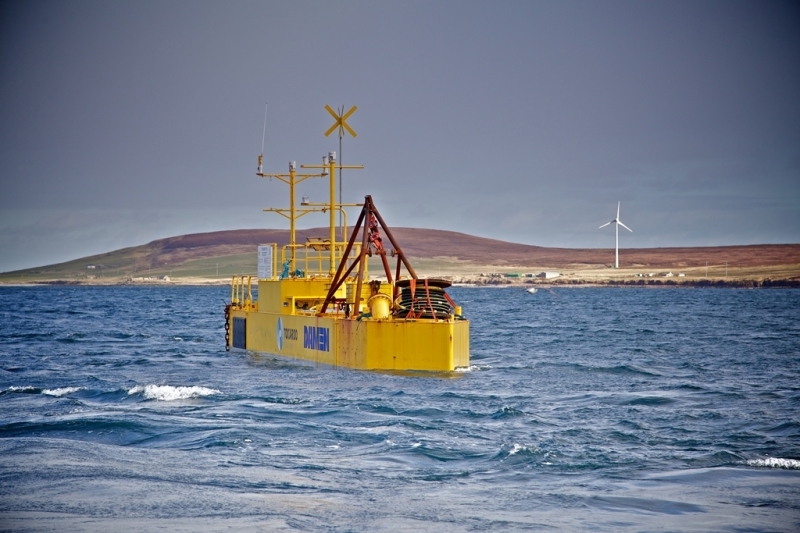 Longer term, Tocardo plans to demonstrate a 20 year pre-commercial UFS array at EMEC to validate the technology for an extended time period in the challenging tidal flows of Orkney.